It was a busy week with 79 St Francis Xavier School student scientists and their grown-up helpers searching the school grounds for resident invertebrates and their predators. Shaking bushes, sieving through soil, investigating pitfall traps, and scanning through bark and leaf litter the children found at least 13 different types of invertebrates. Back in the classroom to analyse their survey data, the children discovered that while not many invertebrates in total had been observed in their surveys, spiders were found most frequently. Otago Museum educators Sam and Sof encouraged the children to think about the amount of available green space for invertebrate habitats on the school grounds and if this could have contributed to the low total invertebrate numbers being observed? University of Otago researcher Yolanda chatted with the teachers about what improvements could possibly be made, given her work to improve urban biodiversity and children’s connection with nature in urban areas for improved wellbeing. While the tracking tunnel containing ink pads and baited with peanut butter failed to detect any nocturnal ground-dwelling predators, the children did identify and count lots of different bird predators. 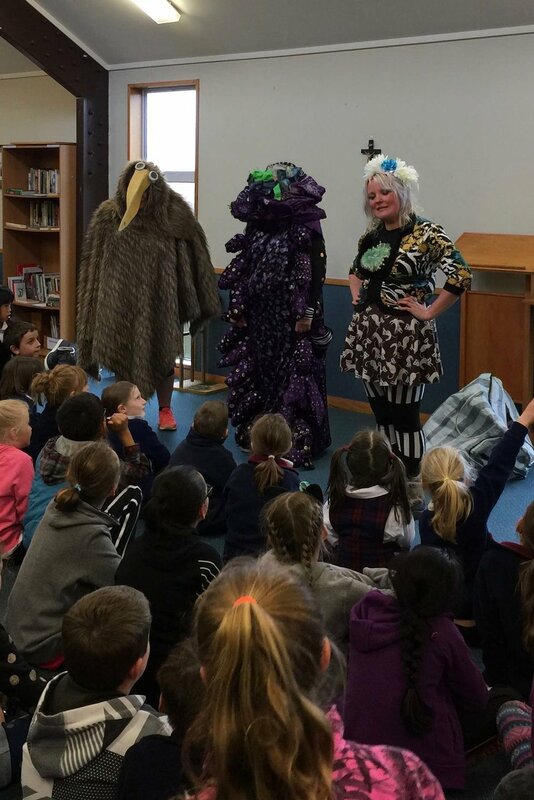 Orokonui Ecosanctuary educators Tahu and Taylor enchanted the children with stories about New Zealand’s amazing native fauna and the special role the ecosanctuary plays in protecting them from their introduced predators. The children loved their teachers Miss H and Mrs R dressing up as a kiwi and a peripatus, creating a STRONG ‘fence of defence’ to protect them from roaming predators on the other side. Visiting Orokonui Ecosanctuary next year to see the fence and experience our native species will be very exciting. 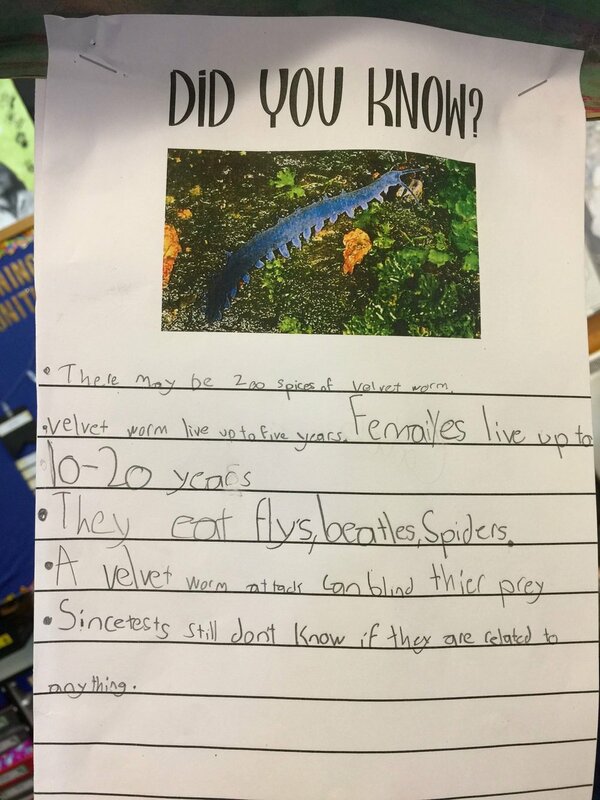 In the meantime, the children have been busy writing stories about peripatus, creating amazing artwork and investigating facts about this intriguing species. Many thanks to the wonderful St Francis Xavier School grown-up volunteers, University of Otago graduate students James and Charlotte, and Otago Museum educators Kate, Emily and Kallia for helping with the project. You can follow news about our PSP Curious Minds project "If we build it, will peripatus come?" on Facebook or via Twitter.